Home » Relationship » ESPN star Josina Anderson's Anniversary Talks At Age 30's, Husband Or Boyfriend Of ESPN Insider? American journalist Josina Anderson was once linked with an anniversary tag. With her age catching up to her, she was bound to let loose! The Washington D.C native is famously known for being an insider for NFL, The National Football League. She rose to fame when she landed as a reporter to ESPN in 2011. She regularly appears in the famous ESPN shows such as Sportscenter, Fantasy Football Now, and NFL Live. She also features reports on Countdown as game-day reporter, and NFL Live as a regular contributor. She initiated her journalism career by working as a sports anchor in the CBS affiliate news channel at Coos Bay in 2000. After working there for a year, Josina moved back to her hometown Washington, D.C and started working as a personal trainer in the track. She also covered city’s professional sports teams for the popular local cable news before joining the Fox 31 at Denver, Colorado in 2005. During her tenure at the Denver, she earned quite a fame as an elite reporter as she covered major stories such as the multiple positive tests for water pills in the NFL under the steroid policy, Ricky Williams and Travis Henry testing positive for marijuana, and so on. She also reported for the Showtimes' Inside the NFL. In 2009, she even received an Emmy award for A Premonition to Addis Ababa, the story about Colorado Crush quarterback John Dutton's travel to Ethiopia and his adoption of an 11-year-old boy. After working with the Denver, Josina landed a job as a reporter for the ESPN at the age of 33 in 2011. What is Josina Anderson's Net Worth & Salary At ESPN? Josina's multi-year contract with the ESPN was extended in October 2017. Her annual salary at the ESPN is estimated to be $200,000 plus incentives. With such salary and hand full of jobs, it is quite sure that she has already amassed the hefty net worth $3 million. 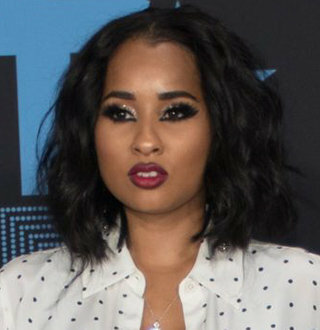 Anderson was born on 15 August 1978, to Yasmin and Lloyd Anderson. She has a good relationship with her family members including her parents and her siblings. She has updated her Instagram with the pictures of her producer brother and sister. Josina, who has the height of 1.73 m, attended the Montgomery Blair High School in Silver Spring, Maryland, where she later became an announcer for the Blazers. After that, Josina graduated with a degree in exercise and sports science from the University of North Carolina, where she also won a gold medal at the AAU Junior Olympics. Apart from that, she is also a former professional ballet dancer as well. She passed her residencies with the Dance Theater of Harlem and Pennsylvania Ballet. During her stint as a dancer, she performed as a soloist for the American Youth Ballet. 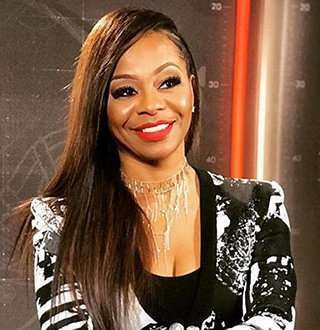 Josina Anderson's personal life has been a matter of curiosity as her social media posts lack the presence of any boyfriend-like-figure. She has neither been romantically linked with any person to date nor has been reported to be married and have a husband. However, she was once speculated to have some fling with ESPN's Keith Reed. Back on 21 August 2012, Keith Reed, who happens to be an editor at ESPN Magazine, tagged Josina on his Twitter. On the Tweet, he quoted Josina as "babe'" and wrote Happy Anniversary along with '1 year.' The anniversary word and the mention of the time made fans to believe that the two were celebrating their anniversary of one year. However, the date he posted on the Tweet made it quite clear that they were celebrating one year anniversary of Josina's presence at ESPN: she had joined the network in August 2011. Soon after, the rumors were put to rest. Josina Anderson; Age 40 - Boyfriend, Husband, Or Single? After the rumors about Keith were gone, Josina's dating life went silent again. With age catching up to her, it's hard to believe that she's single and yet, there seems to be no evidence suggesting otherwise. The only news about her regards her profession--something which gets updated at least weekly. Unfortunately, her dating life isn't as quite as flaunting as her career.